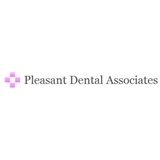 Pleasant Dental Associates (Brookline) - Book Appointment Online! Pleasant Dental Associates has operated in Brookline, MA. since the opening of 2004. We’ve treated all customers like they were a part of our family. Other practices may offer similar services, but our treatments come with a personal touch. Dr. Chen has over 20 years of experience in dentistry with a reputation of providing his patients with the best quality long term care. He prides himself on treating every customer like they were a part of his family. As an early adopter of Implant Dentistry in the Boston area, he is committed to updating his dental expertise in the areas of gum treatment and dental implants to achieve the maximum results of full-mouth reconstructive dentistry.